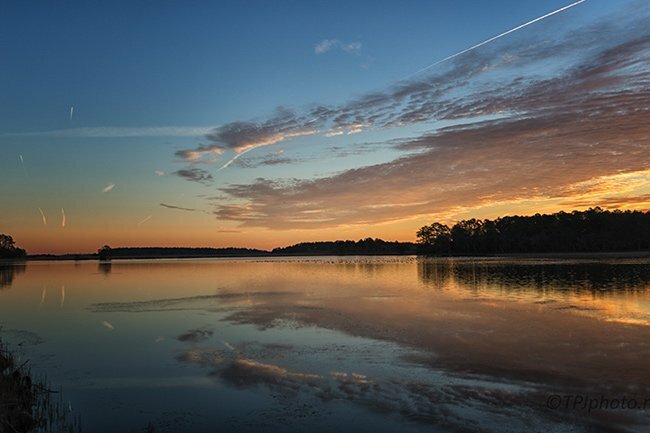 South Carolina’s ACE Basin encompasses over 1,000,000 acres between Beaufort and Charleston and even stretches up to Orangeburg County and Bamberg County. As of 2015, 217,156 acres of the ACE Basin are protected. 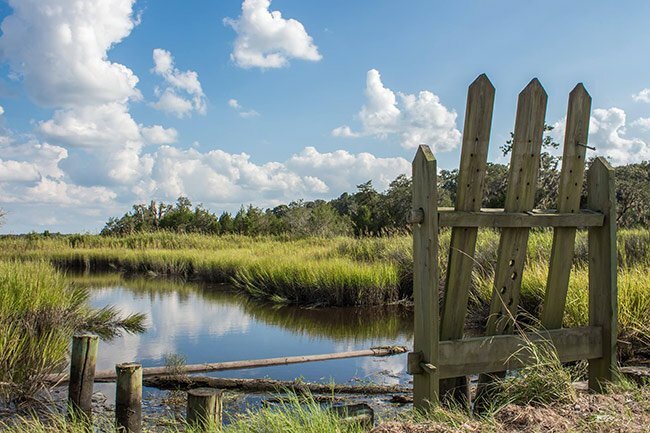 Through a joint effort by numerous federal, state, and local agencies, as well as conservation organizations and private landowners, the basin is one of the largest protected estuarine systems on the East Coast. It provides a safe haven for wildlife and remains a buffer from encroaching development. 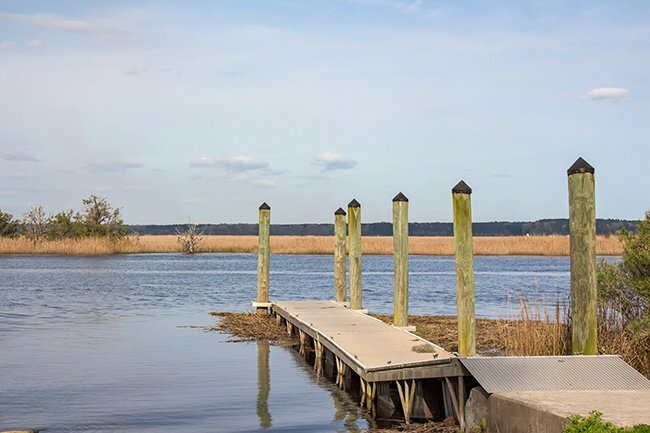 The ACE Basin gets its name from the three waterways that flow through its varied landscape: The Ashepoo, Combahee, and Edisto Rivers. Prior to the Civil War, much of the ACE Basin was planted with rice. Nowadays, many of the hiking opportunities in the area make use of former rice field embankments or dikes, providing visitors a nice flat walk with numerous opportunities to spot wildlife. Winter provides visitors with a wonderful opportunity for wildlife viewing, as many migratory birds call the ACE Basin home during the colder months. The Bear Island Wildlife Management Area, which is about 11 miles south of US 17 on Bennett’s Point Road, provides 12,000 acres of managed property for wintering waterfowl and other wetland wildlife. The area is open to the public and is a great stop on an ACE Basin roadtrip. Further down Bennett’s Point Road, there is a peaceful community in the heart of the ACE Basin. 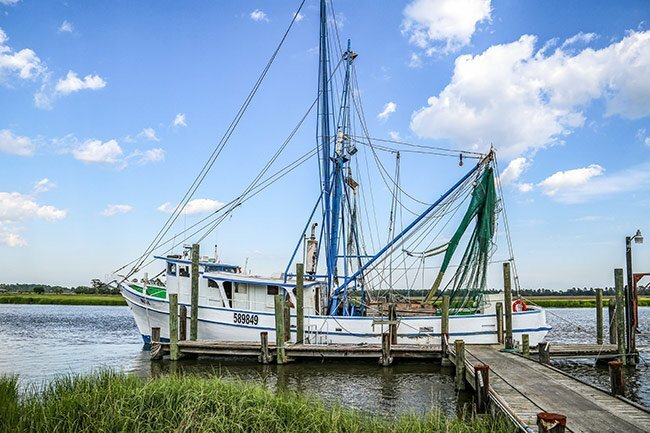 Docked at Bennett’s Point boat landing, you may find the lovely shrimp trawler pictured below. 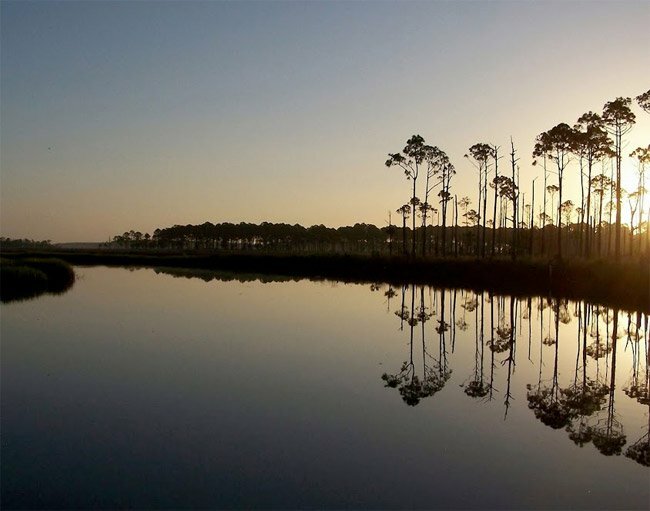 Formally called the Ernest F. Hollings ACE Basin National Wildlife Refuge in honor of former governor and United States senator Ernest “Fritz” Hollings, this refuge occupies 12,000 acres of the ACE Basin on a former rice plantation called Grove Plantation. 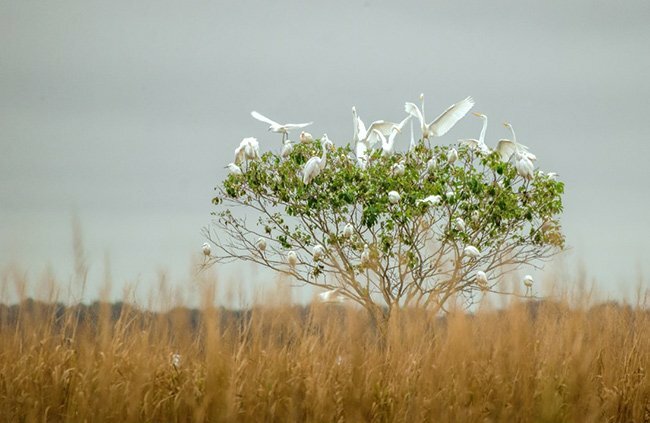 Its erstwhile rice fields, untouched since the Civil War, help create the diverse ecosystem found within the refuge. 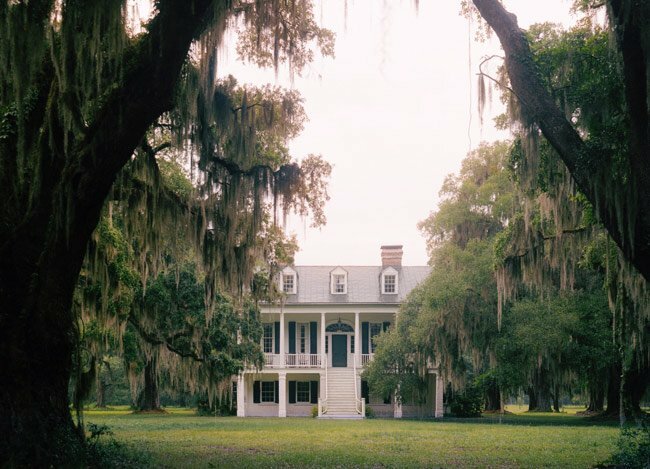 The plantation’s 1828 home – one of only three antebellum plantation homes in the ACE Basin to remain intact after the Civil War – now serves as the refuge’s headquarters. The rice trunk seen below demonstrates how slaves controlled irrigation of the rice fields, which was dependent on tidal rivers. Rice, a particularly labor-intensive crop, was dependent on slaves for its cultivation. Following Emancipation, the rice industry collapsed in the absence of forced labor. After the war the acreage was purchased by wealthy sportsmen for hunting grounds, and the land remained pristine and well-managed by its new owners throughout the years. 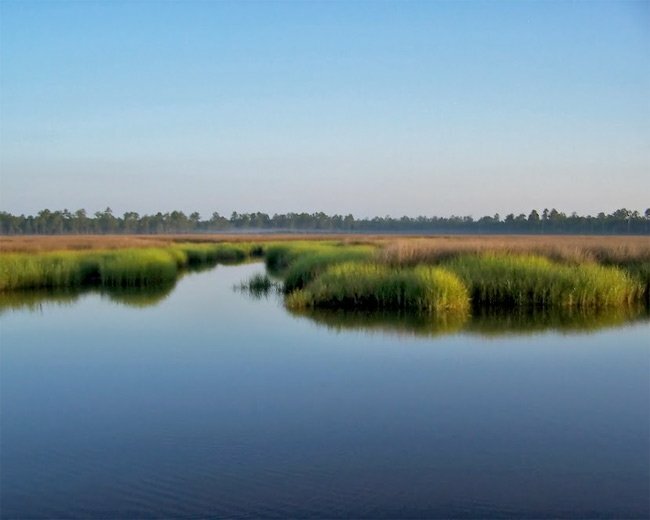 The plantation was purchased by The Nature Conservancy in 1991, who sold it to the United States Fish and Wildlife Service the following year to be managed as a wildlife refuge. Both natural and cultural history are preserved at the refuge. 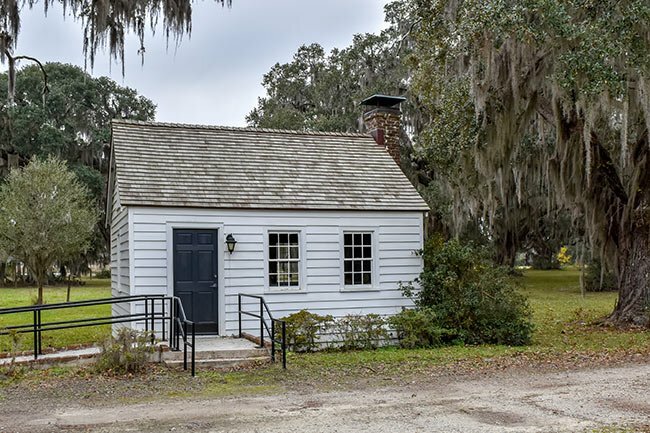 The antebellum house, rice trunk, and slave cabin (pictured below) all tell the story of rice culture and slave life on a Lowcountry rice plantation. The Ashepoo River flows through the swamps of Colleton County and its basin comprises the “A” in ACE Basin Wildlife Refuge. The name Ashepoo comes from the Ashepoo Indian tribe. Crosby’s Landing, pictured below, was a well-loved landmark located on the south side of the US 17 bridge over the Ashepoo River; it was destroyed when that portion of 17 was widened by the South Carolina Department of Transportation. The photo below depicts the old store known as B.J. Brant General Merchandise, named for its owner. The store has a sign indicating that the post office was located here for the community around Ashepoo. 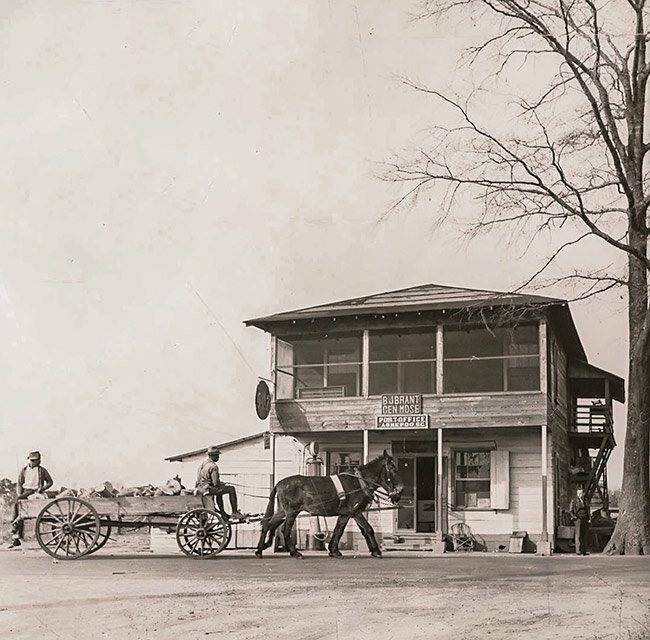 The inclusion of a post office within a general store is typical of rural areas, and these buildings almost always served as community gathering places as well. The photo was captured during the Works Progress Administration’s documentation as part of the Federal Writers’ Project between 1930 and 1940. 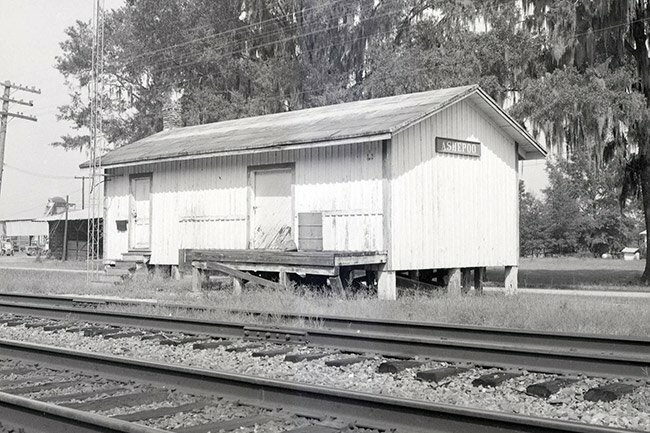 The photo below shows the Ashpeoo Depot, which was the passenger station for people traveling by train, a predominant mode of transportation in South Carolina in the late 1800s to the mid-1900s. The depot is no longer standing. The Salkehatchie and the Little Salkehatchie Rivers flow through or border five counties – Allendale County, Bamberg County, Barnwell County, Colleton County, and Hampton County. These two streams meet below Walterboro and form the Combahee River, which then rolls into St. Helena Sound above Beaufort. 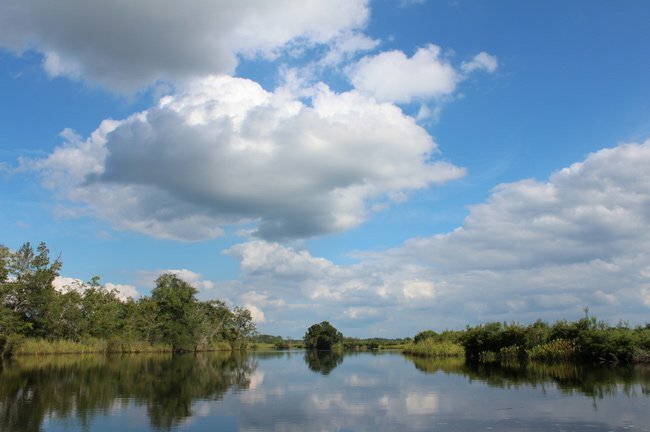 This blackwater river makes up the “C” portion of the ACE Basin Wildlife Refuge and was named after the Combahee Indian tribe. In a historic event known as the Combahee Ferry Raid, three small United States Navy ships, transporting 300 men from the 2nd South Carolina, commanded by Colonel Montgomery, along with the 3rd Rhode Island Heavy Artillery controlling the weapons, left Beaufort heading towards the Combahee River, Harriet Tubman accompanied the troops. Tubman, along with 150 African-American Union soldiers, freed more than 750 slaves on the night of June 2, 1863. Pictured below is a landing on the Combahee River, at the foot of a bridge named in Tubman’s honor, is the general area historians believe where the freeing occurred. Tubman escaped slavery in 1849 and became the first woman to lead a major military operation in the country. She went to work on similar missions with the Massachusetts 54th Infantry and spent her final years of life tending to wounded soldiers. 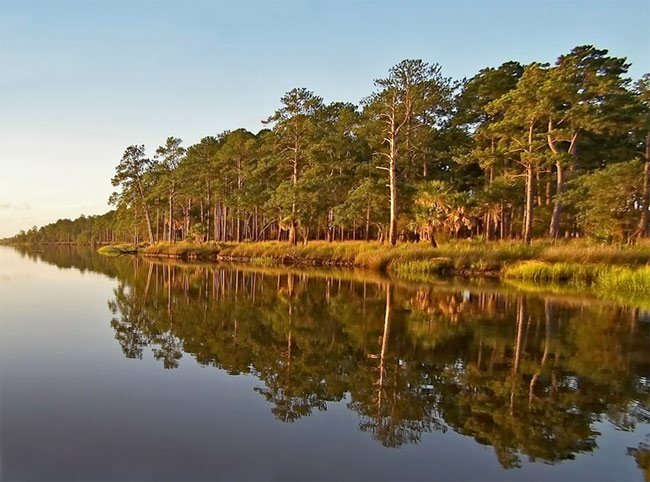 At 206 miles long, the Edisto River is the longest blackwater river in North America. The river begins in Saluda County and flows down the state, finally emptying into the Atlantic Ocean. The ACE Basin rests at the mouth of this amazing water system. 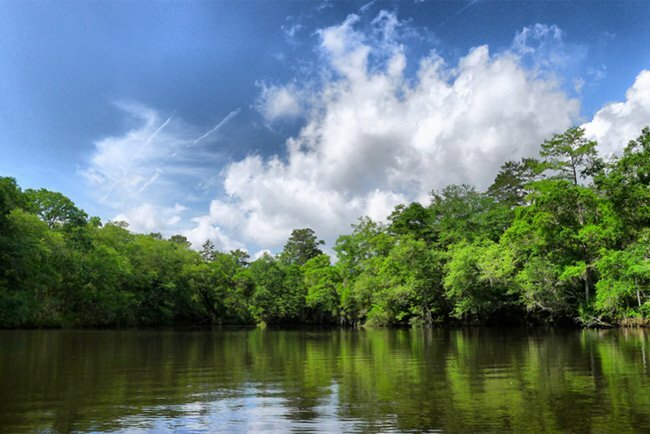 Named for the Edisto Indian tribe, the Edisto River is represented by the ‘E’ in ACE Basin. 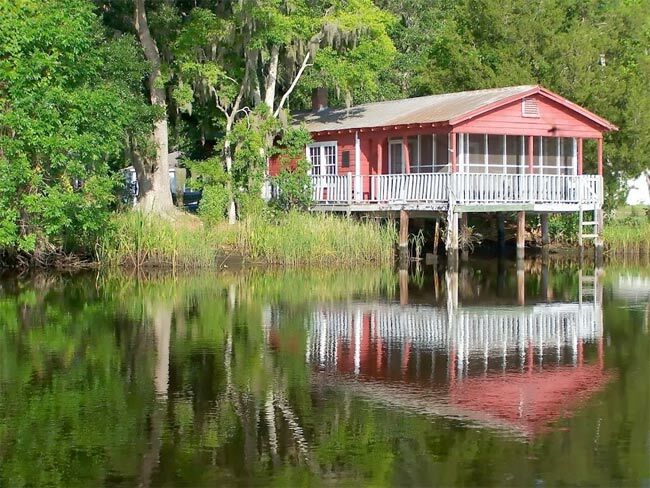 The photo above shows the Edisto River at Green Pond, part of the ACE Basin. 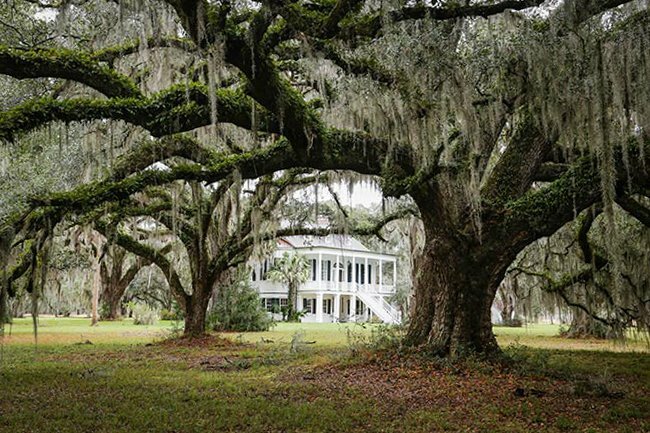 I’d like to visit Grove Plantation on Sat. March 23 or Sun March 24. Will the house be open then? I’m writing the new interpretive brochure for the NPS Reconstruction National Monument and would like to see a rice plantation. We are so glad you enjoyed it, and we share your sentiments entirely! This was very delightful history to me. I love living in S.C. and we have some of the most beautiful sights in the U.S. We must fight to keep lands such as these untouched by those wanting to dig for oil. Thank you so much for giving me a fact I didn’t know until I read this. I have a book with the Patterson History, I will check it out. Hello Amy! According to http://www.ricekingdom.com/planters.html, Angus Patterson planted White House Plantation on the Ashepoo River. We searched for that name, and the address we found for the plantation is 5877 Clover Hill Road in Green Pond. We hope this helps! Angus Patterson 1786-1854 lived in Barnwell District, SC (Senator and President of the SC Senate for 37 years) purchased a plantation on the Edisto River near Midway in 1824. 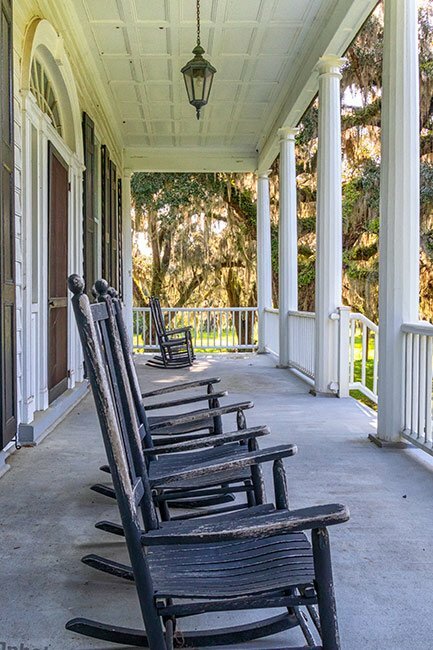 The plantation’s point on the Edisto River was called “Old Quarter Landing”. The Augusta-Charleston Road was near this plantation. Angus Patterson stilled owned the plantation and it is listed in his will made in 1854. Does anyone know where this plantation was located? Thank you. Hello Linda, there are supposed to be one million extra people in South Carolina for the eclipse. It is hard to gauge where one can go without traffic because we are sure most are seeking that. We would maybe suggest Donnelley WMA in Green Pond which would not be too awfully far from Savannah. That would give you a great water reflection option. We are not sure if that falls directly in the path but it should. We hope this helps! Seeking a place to come take solar eclipse pictures on the 21st that’s hopefully less trafficked that many places farther north! Please advise if anyone has a suggestion, with specific directions, to stop and set up my tripod. LOVE to have a water reflection site if possible! Driving up from Savannah. Thank you! 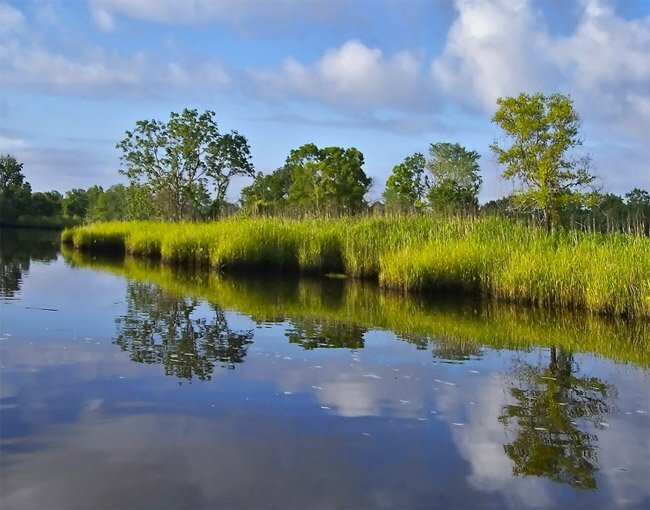 Qow, since my teens I've felt the southern lowcountry of coastal rivers and marsh to be the most beautiful, serene place. Decades later, I still feel this way, and I have lived in coastal regions of other states. I live near downtown Charleston in a residential area, and often see racoons, sometimes lone racoon, or as many as five just pass through the yard and wander down the street. They stop and stand on their hind legs and look at me and then just wander away. at first I called animal control to asked what if anythin I should do about reporting my sightings. They said as long as they do not appear to be in immediate distress and, or, an apparent threat, to just let them be. If you past Bennett’s Point coming from S. Edisto, where do you end up? Hi, Vivian. Try Keeper of the Wild: http://www.keeperofthewild.org/ Best of luck! Grove Plantation was a welcome surprise at the end of a two-mile dirt road in Hollings National Wildlife Refuge. We went there looking for birds and found them and more. The ACE Basin is truly a National Treasure.